Distracted driving is one of the most dangerous issues on the road today. When we’re driving, we expect everyone to obey the rules of the road, but it’s a short expectation, because not everyone does that. Now more than ever, people are driving on the road with excessive distractions, and it’s rather frightening. There are plenty of horror stories around the subject that shed light onto how serious things are becoming. 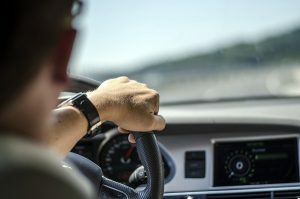 You always want to keep your eyes on the road, so whether you’re driving a truck filled with freight or just a regular car, here are a few ways to do it. You don’t need to check that text. No matter what your mind is telling you, or how much you want to, you do not and should not check the phone while driving. You’re operating a heavy piece of machinery, and a distraction like this can and has been fatal. The easiest way to minimize this risk is by just turning your phone off for the duration of the drive. Organization is key, and it’s especially crucial when it comes to driving long distances. An easy way to avoid a distraction on the road is by precisely planning out your route beforehand. Rather than messing around with the maps during the drive, it’s always smarter to figure out the route before leaving. The natural inclination while embarking on a long drive is to turn on the radio, listen to music or talk, and travel along. While there’s nothing wrong with that, it’s also okay to turn off the noises and drive in some silence. It can be a nice refresher from the normality of long drives, giving you a chance to work through your thoughts. Whether you are looking to upgrade your fleet to tow trucks or simply interested in the latest trucking technology, you can rely on Baltimore Freightliner-Western Star, a new truck dealer. We have provided top-notch service for the trucking industry for 30 years and would love to assist you in buying a new top-of-the-line truck, finding the specialty parts you need, or repairing your truck. Give us a call toll-free at 800-832-7278 or locally at 410-685-4474, or contact us online. To find out more about what we are up to, follow us on Facebook, Twitter, Pinterest, and Google+. This entry was posted on Friday, October 6th, 2017	at 6:51 pm	and is filed under Trucking Lifestyle	. You can follow any responses to this entry through the RSS 2.0	feed. Both comments and pings are currently closed.